Lock in a great price for Hotel Onderbergen – rated 8.5 by recent guests! The location was perfect, just a short walk to city center off the main road in a quiet alley. The rooms were well furnished and very clean. Staff was very friendly and helpful. Definitely recommend!! 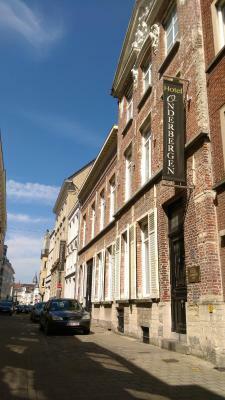 The hotel has a really nice location, very close to the center of Ghent (2 minutes walk) yet in a calm neighborhood. Jenny from the reception was very helpful and friendly. Very friendly reception staff. Secure parking. Excellent family room for 6. Great location, Close to parking. Large room with refrigerator. They were able to accommodate my lower floor request due to handicap. Staff was vey nice. The location was very close to the center. We rented an apartment, it was very clean and comfortable. Everything was great. Fairly close to Ghent attractions. Clean. The air Ish pub was great! Upper floor room #12 was large with good batroom facilities, the location is easy access from the Hbf and very close the the old town. The hotel is located on the other side of the river from the main tourist area, which is easily reached on foot or by bike. It is also a 5 min walk from a tram station. The bathroom was really nice compared to other places I stayed in Belgium. 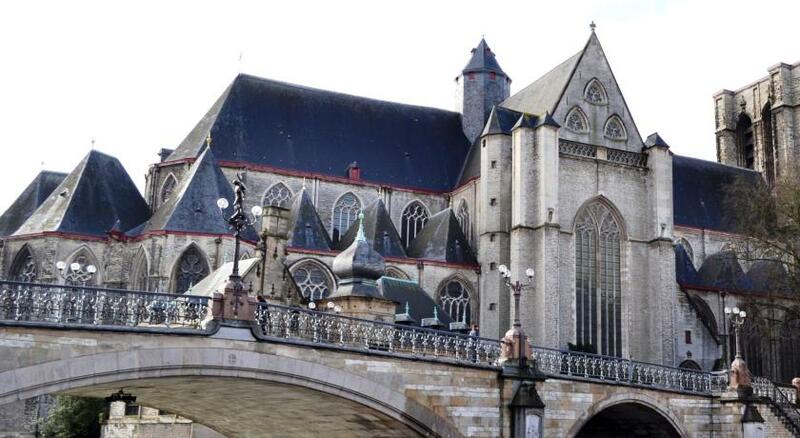 This hotel is set at the Leie River in the center of medieval Ghent, 1,650 feet from Saint Bavo Cathedral and a 2-minute walk from Veldstraat Shopping District. It offers free WiFi and an international bar with Sky Sports. 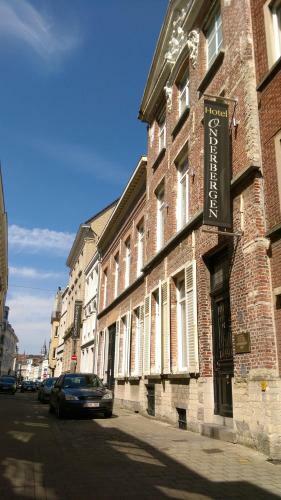 Hotel Onderbergen offers boutique-style rooms with original features including hardwood floors and high ceilings. Each room includes a plasma TV with international satellite channels (including all UK). They also have a modern bathroom with a hairdryer and ironing facilities as well as a safety deposit box. Breakfast is served every morning at Hotel Onderbergen. You can visit the restaurant for a lunch dish or dinner à la carte. The on-site bar is the setting for a drink throughout the afternoon or evening. The hotel is 800 feet from the Zonnestraat Tram Stop, which offers direct links to Ghent Saint Peter's Train Station and Ghent Expo. The historic center is 150 feet away and Onderbergen is less than a 10-minute walk from the Design Museum and the Belfry. When would you like to stay at Hotel Onderbergen? Larger room with a private bathroom and a TV with satellite channels. This spacious room is elegantly decorated. It includes tea and coffee-making facilities and a bathroom with a bathtub and a shower. This room has a private bathroom and a TV with satellite channels. This room has a private bathroom and hardwood floor. This room has a bathroom and hardwood floor. This room features a flat-screen TV, and a desk. Accessible via a separate entrance, this apartment consists of a living room and a well-equipped kitchen with a dining area and free tea and coffee making facilities. The bathroom is fitted with a shower. This room has 5 sleeps. 1 double bed and 3 single beds. 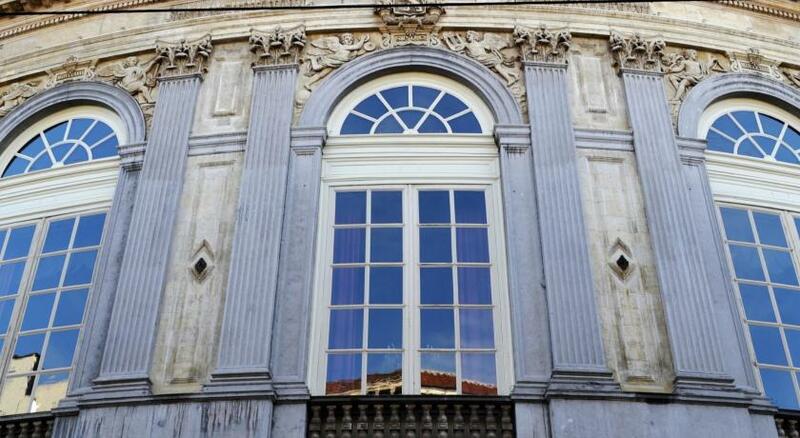 Hotel Onderbergen is brand new and will match expectations of everyone, looking for a central location Gent. House Rules Hotel Onderbergen takes special requests – add in the next step! Hotel Onderbergen accepts these cards and reserves the right to temporarily hold an amount prior to arrival. Please note that for the Small Double Room and the Small Single Room for Double Use it is not possible to place a baby crib. Great location - a few minutes walk to the center. The hotel building itself was also really nice (large wooded beams etc). Staff friendly. Comfy bed. Lovely big family room. Clean and modern bathroom. Tea and coffee in room with fridge. Staff excellent and perfect location. Very quiet and no noise from outside. Would return. Both our rooms (1 and 15) were next to the delivery entrance and the door opening and closing at night and early morning was very loud. Lots of stairs to climb but that's more or less the standard in Gent, so not really their fault. The room was very comfortable and clean. The staff was super friendly and helpful with my late arrival. 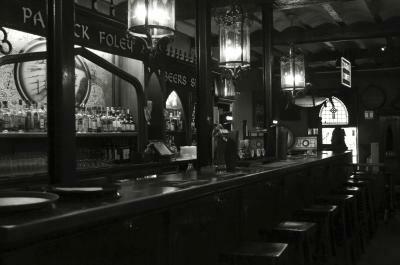 Although there is a pub on the groundfloor (with excellent beer) the room was very silent. It is next to the canal, walking distance from Korenmarkt, the city centre. The location is excelent. The staff super nice. The girl from the desk was so nice and helpful. The location was great!!! Very big, clean and beautiful room, huge bathroom with a bath and shower, super friendly staff, near to the city centre/old town, cafeterias, shopping street. Great location, very clean and comfortable. The attached pub got a fair rattle too! Would definitely stay here again.